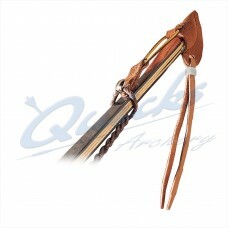 Forward facing, with quiver tubes to a traditional design..
A traditional design of quiver with three arrow tubes Comes complete with matching belt, pouch.. 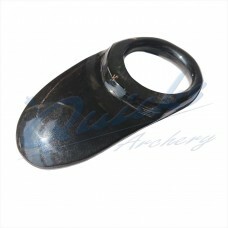 Holds string in place on bow when unstrung. 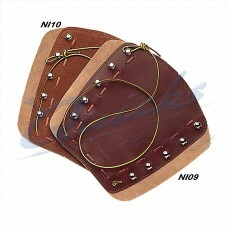 Leather cup over end of bow and adjustable hook to..
NI10 7.5" Lace Up Traditional Honey Brown Suede Leather Arm Guard..
NI09 7.5" Lace Up Traditional Tan Leather Arm Guard.. 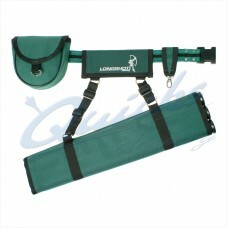 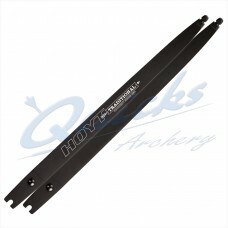 Extra Long Stringer for Longbows. 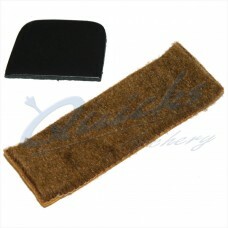 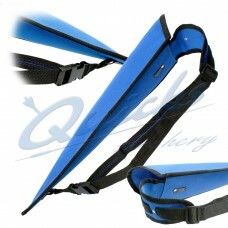 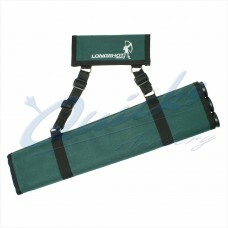 Hardwearing Cordura style back quiver, ambidextrous. 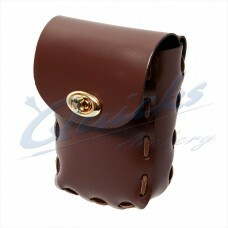 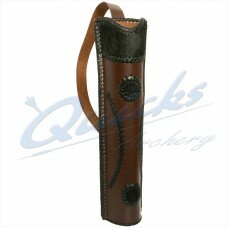 Leather back quiver, ambidextrous. 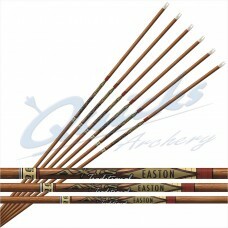 Room for lots of Arrows. 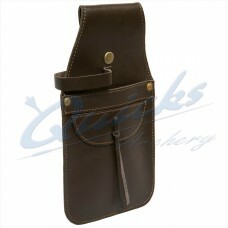 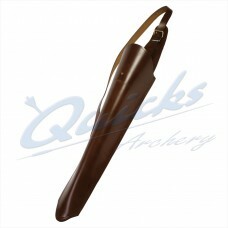 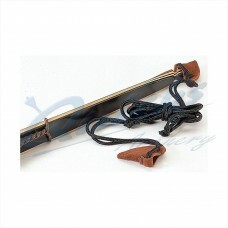 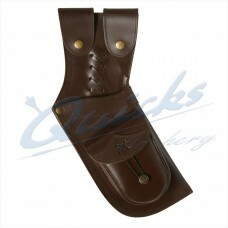 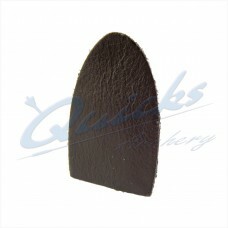 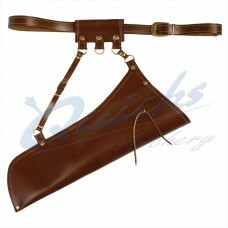 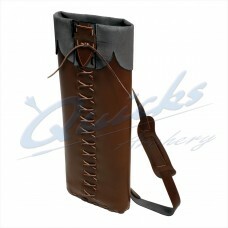 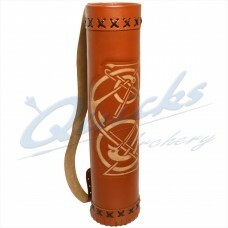 Soft Flexible in Brown Leather..
De Luxe Tan Leather Back Quiver Features laced together seams, strong laced in base, wide Back..
Quality Tan Leather Side Quiver and Belt Ideal for Target and Field Archers Great for Longbow..
Quality Tan Leather Pouch to Match the QQ77 and QQ78 Quivers Ideal for Target and Field..